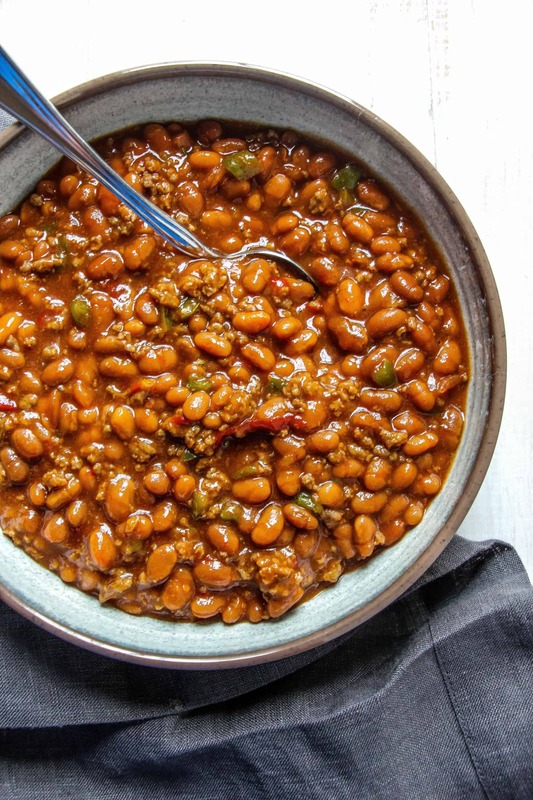 Grab your best friends, crank up your grill and make these delicious Southern Baked Beans. 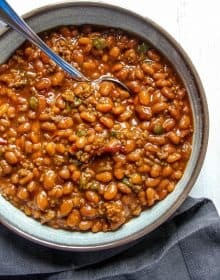 There is nothing that goes better with a juicy hamburger in the summer than our favorite family baked bean recipe. It’s the perfect time of year to turn on your grill and invite your friends over for a fun cookout dinner. One thing I always keep on-hand this time of year are a few cans of Busch’s Southern Pit Barbecue Grillin’ Baked Beans. It just takes a few minutes to put this together and throw in the oven. Being that our family is from Texas you might saw that we could qualify as baked bean connoisseurs. Who doesn’t eat baked beans that is from Texas? This particular baked bean recipe is…..well, perfection. 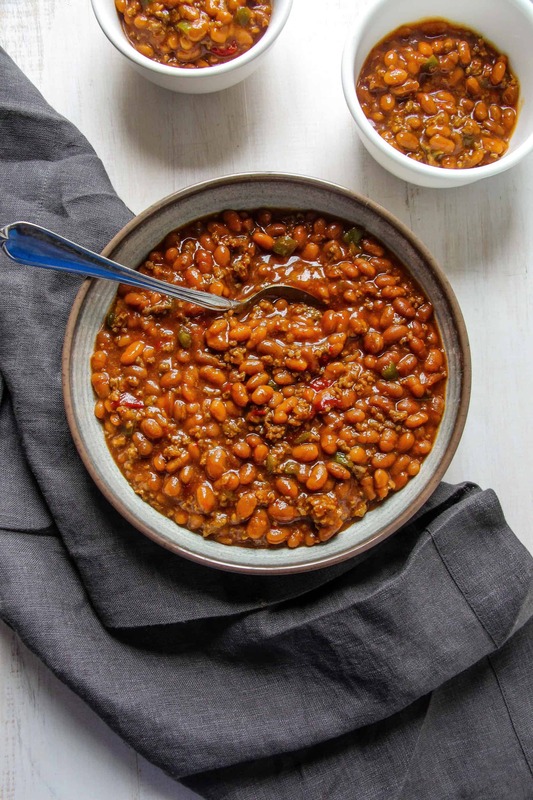 You can use any canned baked beans but the ones that I think make this recipe the best are Busch’s Southern Pit Barbecue Grillin’ Baked Beans – they really are the best out there! I know you and your friends will love them. These baked beans have that smokey, backyard grillin’ taste that everyone will love. I serve it with so many different things: pulled pork sandwiches, hamburgers, hot dogs, hoagie sandwiches, grilled barbecue chicken, ribs……you get the drift – they will spice up any summertime meal. Last Christmas we also served them at our office holiday party with pulled pork, ribs, fried chicken and lots of other yummy sides. Everyone loved them. This recipe will be a keeper – let us know how you enjoyed them. Cook ground beef in a skillet over medium heat. I chop my ground beef when it is cooked so that the meat is in very small pieces. Set meat aside. Chop onion and green bell pepper in very small pieces. Cook onion and green bell pepper over medium heat with a Tablespoon of olive oil for 4-5 minutes. In a medium baking dish combine the cooked ground beef, onion and green bell pepper with all remaining ingredients. Stir until ingredients are thoroughly combined. Top the beans with the uncooked bacon and place into oven. Bake for 45 minutes – stir the baked beans 1/2 way through the baking time. Remove, discard the bacon and let stand for 5 minutes.